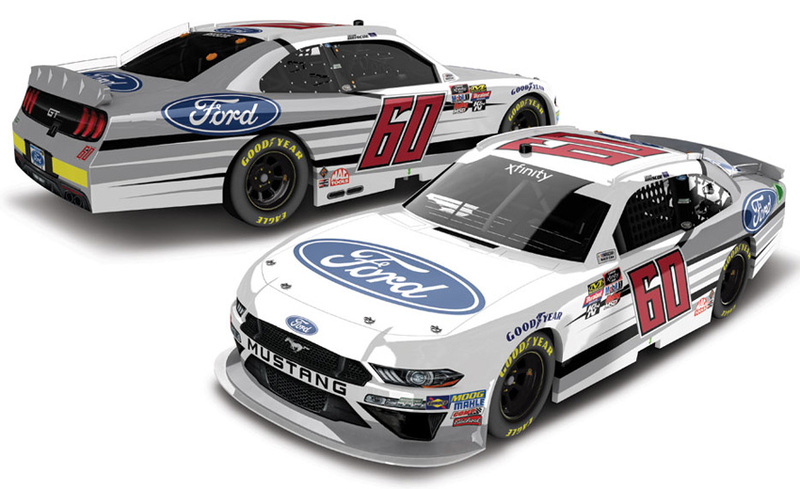 2018 Chase Briscoe #60 Ford / Ford Mustang NASCAR 1/64 diecast, by Action Lionel. 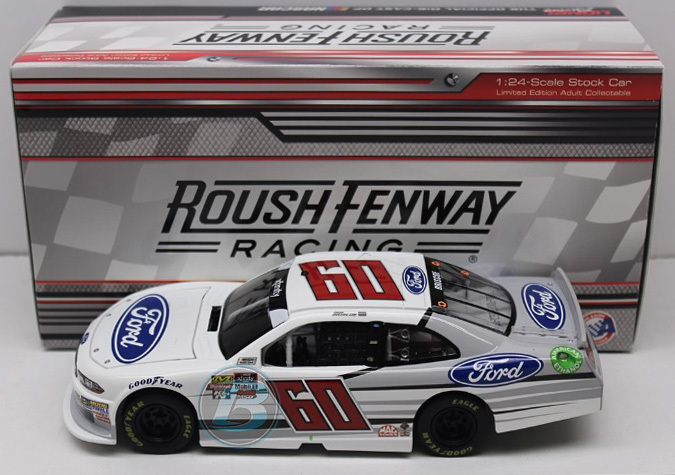 The Roush Fenway Racing #60 Ford Mustang was raced by Chase Briscoe during the 2018 NASCAR xfinity Series season. 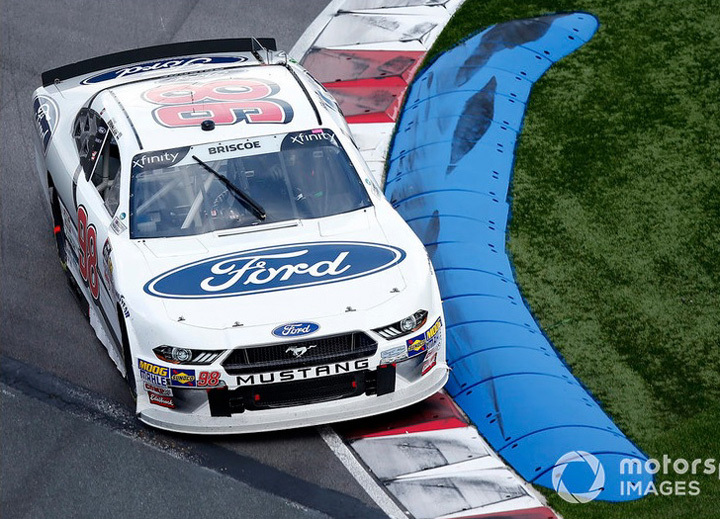 2018 Chase Briscoe #98 Ford Mustang / Charlotte ROVAL Win / Raced Version / Ford Mustang NASCAR 1/24 diecast, by Action Lionel. 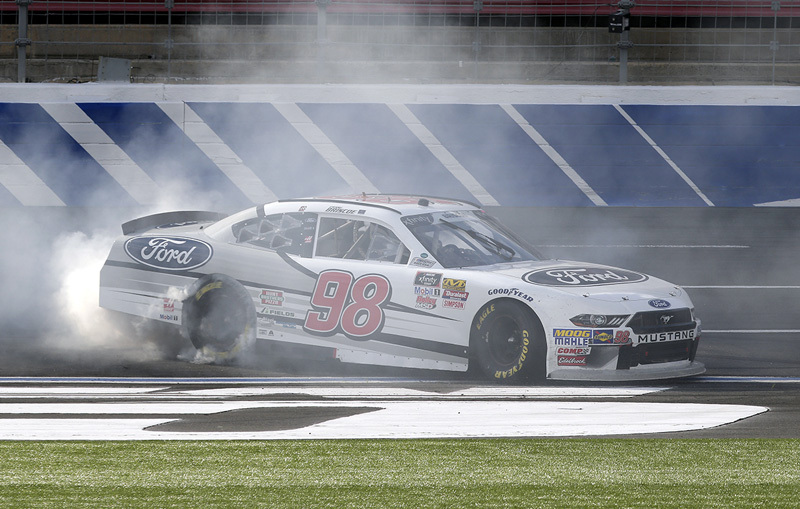 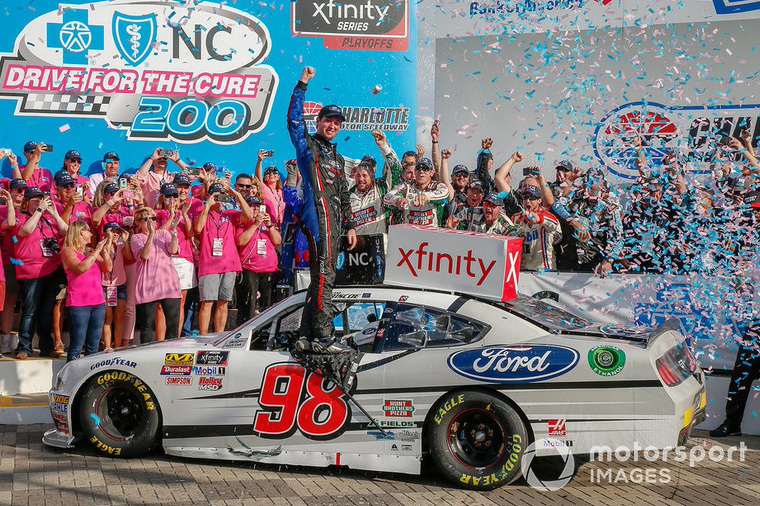 Chase Briscoe raced this Stewart-Haas Racing #98 Ford Mustang to victory in the Inaugural NASCAR xfinity Series, Drive for the Cure 200 at the Charlotte Motor Speedway ROVAL on September 29, 2018. 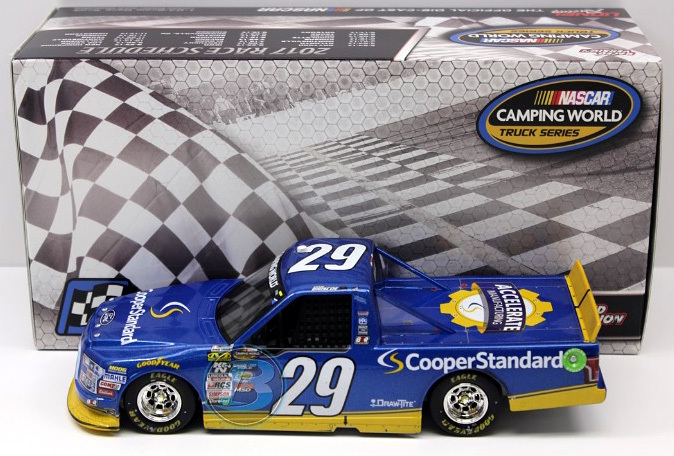 This diecast car will come with a bag of confetti from Victory Lane and race winner decal. 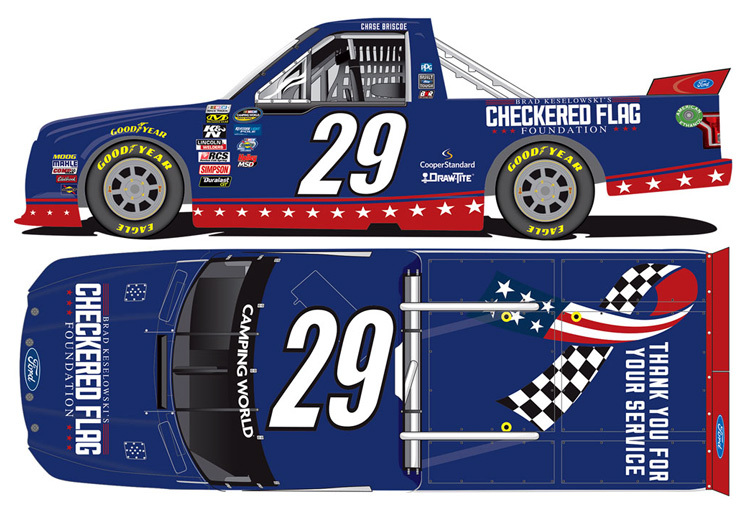 2018 Chase Briscoe #27 Ford F-150 / Eldora Dirt Win / Raced Version / Ford F-150 NASCAR Truck 1/24 diecast, by Action Lionel. 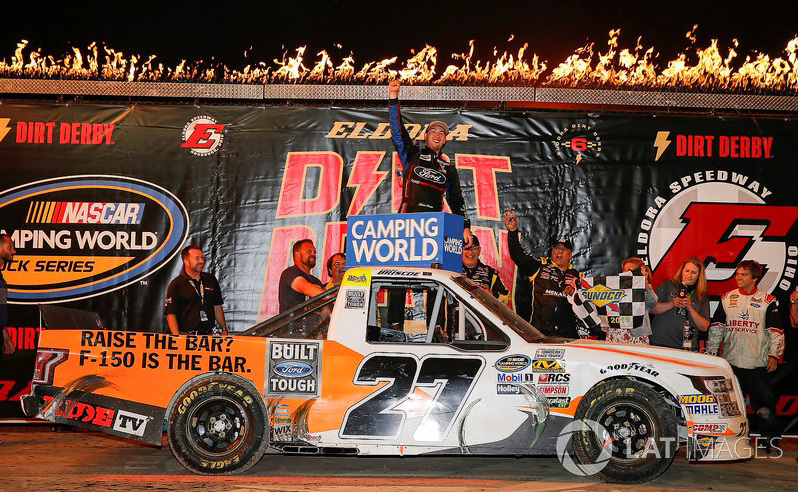 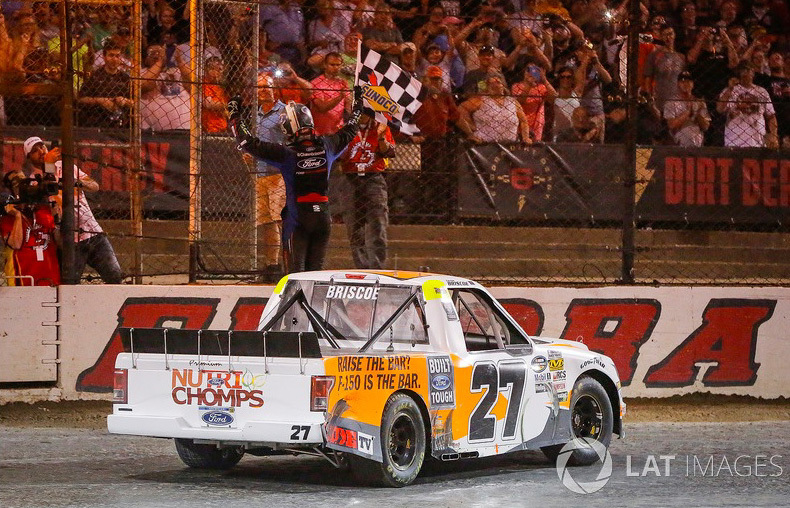 Chase Briscoe raced this ThorSport Racing #27 Ford F-150 to victory in the NASCAR Camping World Truck Series, Eldora Dirt Derby at Eldora Speedway on July 18, 2018. 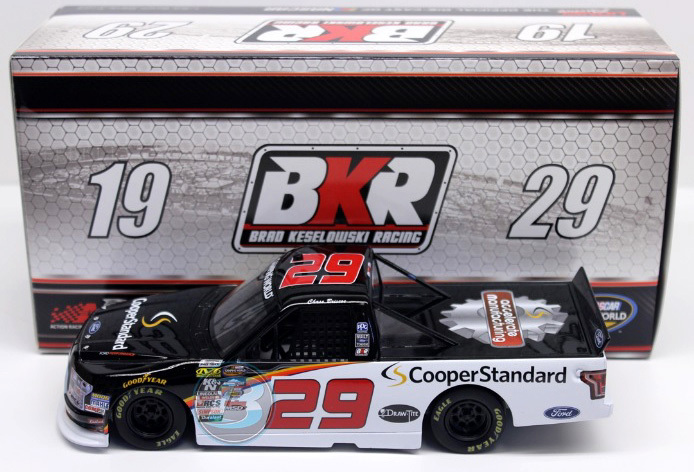 This diecast truck comes with an official race winner decal. 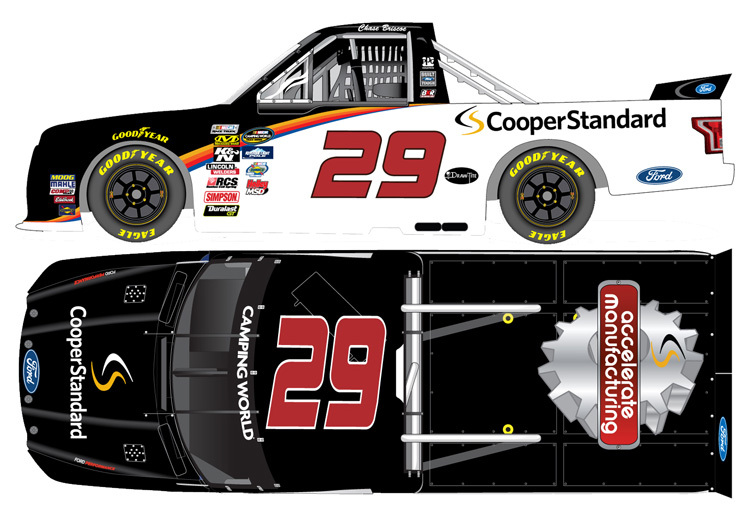 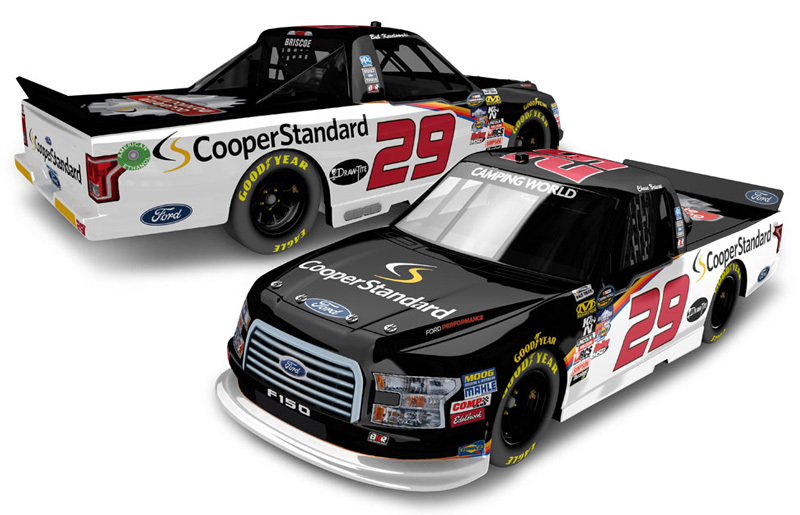 2017 Chase Briscoe #29 Cooper Standard / Throwback / Ford F-150 NASCAR Truck diecast, by Action. 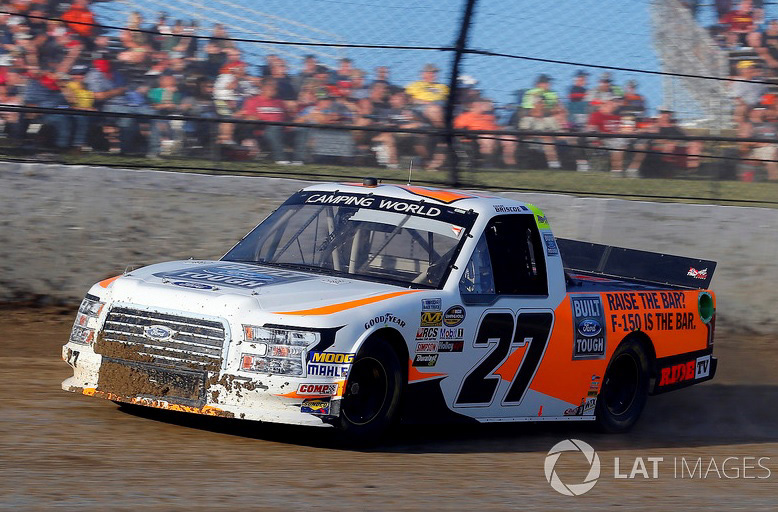 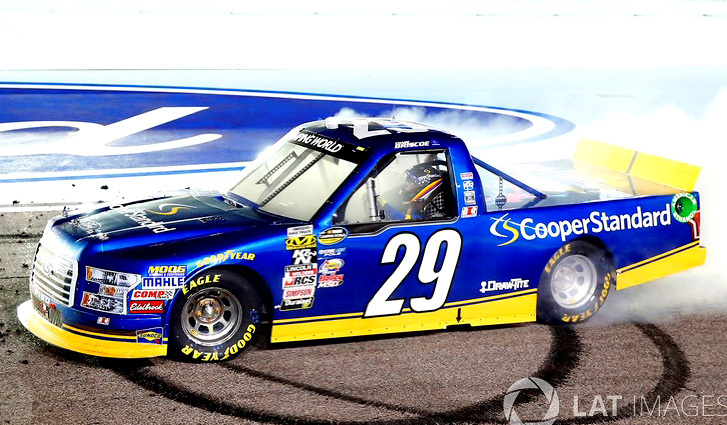 This BKR Brad Keselowski Racing #19 #29 Cooper Standard Throwback Ford F-150 truck was raced by Chase Briscoe in the NASCAR Camping World Truck, Chevrolet Silverado 250 at Canadian Tire Motorsport Park in Bowmanville, Ontario, Canada, on September 3, 2017. 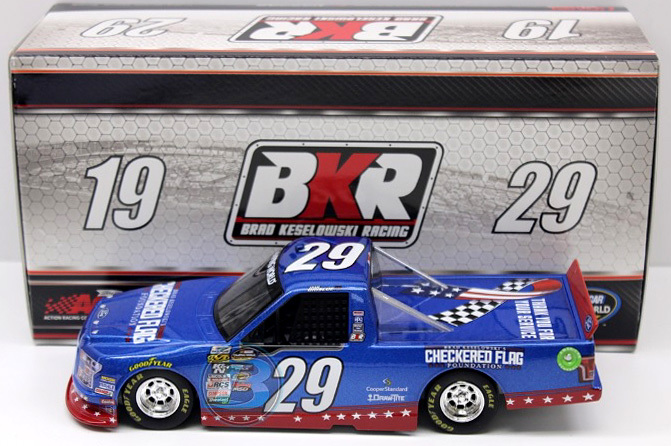 This paint scheme is reminiscent of one driven to victory by Brad Keselowski's father - Bob Keselowski.